Located in Kansas City, Missouri, the National Association of Basketball Coaches (NABC) was founded in 1927 by Forrest “Phog” Allen, the legendary basketball coach at the University of Kansas. Allen, a student of Dr. James Naismith, the inventor of basketball, organized coaches into this collective group to serve as Guardians of the Game. The NABC currently has nearly 5,000 members consisting primarily of university and college men’s basketball coaches. 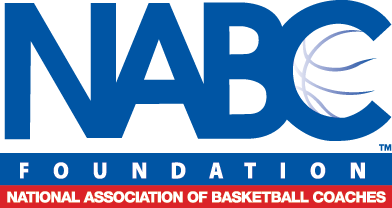 All members of the NABC are expected to uphold the core values of being a Guardian of the Game by bringing attention to the positive aspects of the sport of basketball and the role coaches play in the academic and athletic lives of today’s student-athletes. The four core values of being a Guardian of the Game are advocacy, leadership, service and education.